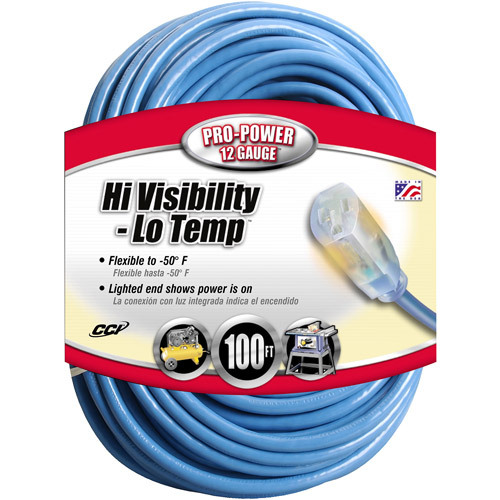 CCI Pro-Power 12 Gauge Hi Visibility-Lo Temp Cord 100 FT. Flexible to -50�F. Lighted end shows power is on.